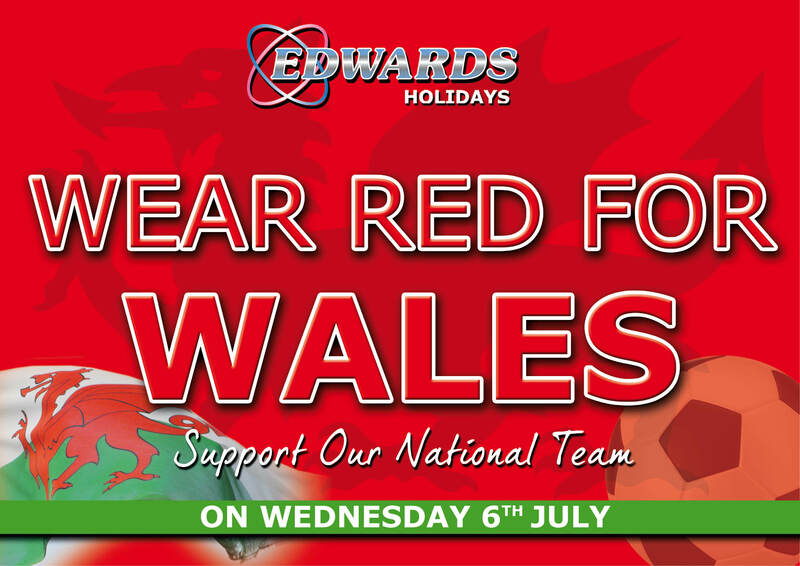 Edwards Coaches of Llantwit Fardre, near Pontypridd have launched a campaign to encourage business owners and employees to wear red on Wednesday in show of their support for the Wales national football team, as they take part in their first ever tournament semi-final. Proud sponsors of the FAW, Edwards feel it is important to capture the nation’s emotions and bring everyone closer than ever by simply wearing the colour red. In France, the Welsh supporters have been dubbed the ‘red wall’ by a number of the Welsh players and it’s hoped this will be continued into Wednesday by turning the whole country red in support of our boys in Lyon.